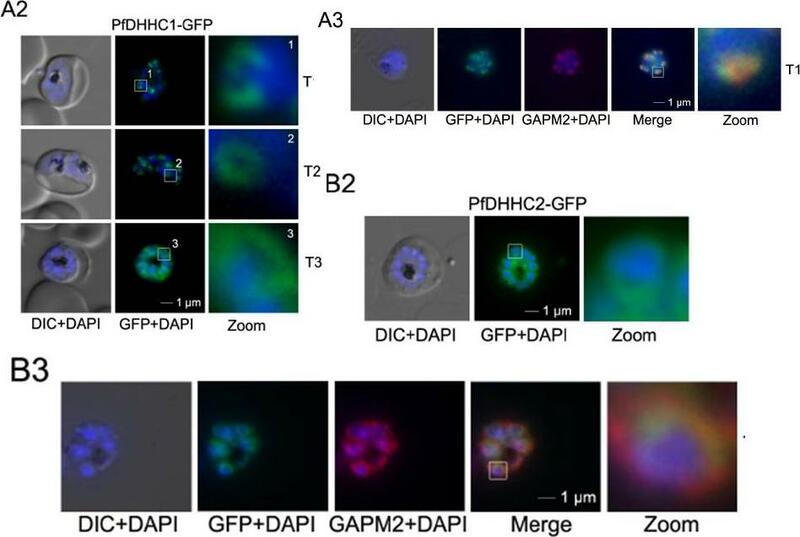 Confocal microscopy demonstrates the location of PfAnkDHHC posterior to apical organelles. 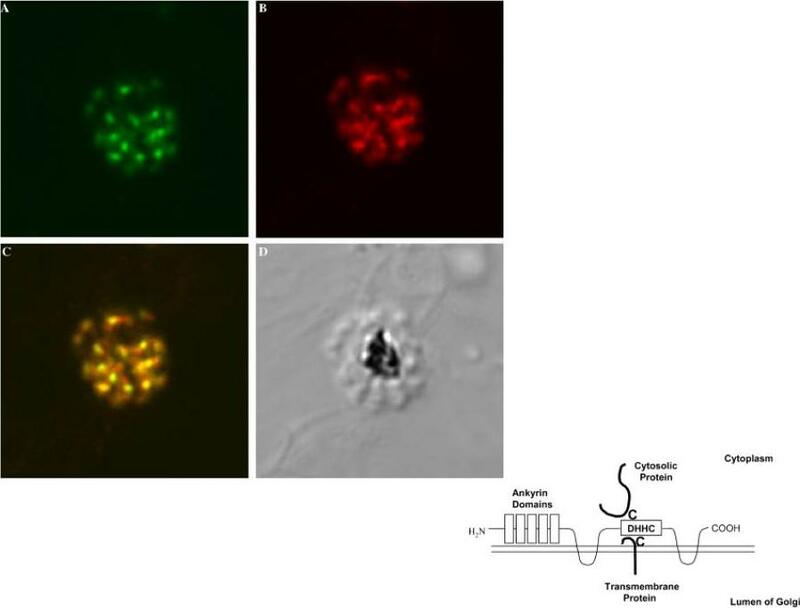 (A) 3D7 merozoites were labeled with rat-antiPfAnkDHHC and Alexa-488 conjugated anti-rat IgG (green) and with anti-RAP-1 and Alexa-594 conjugated anti-mouse IgG (red). Nuclei were stained with DAPI and appear blue. (B) DIC image. 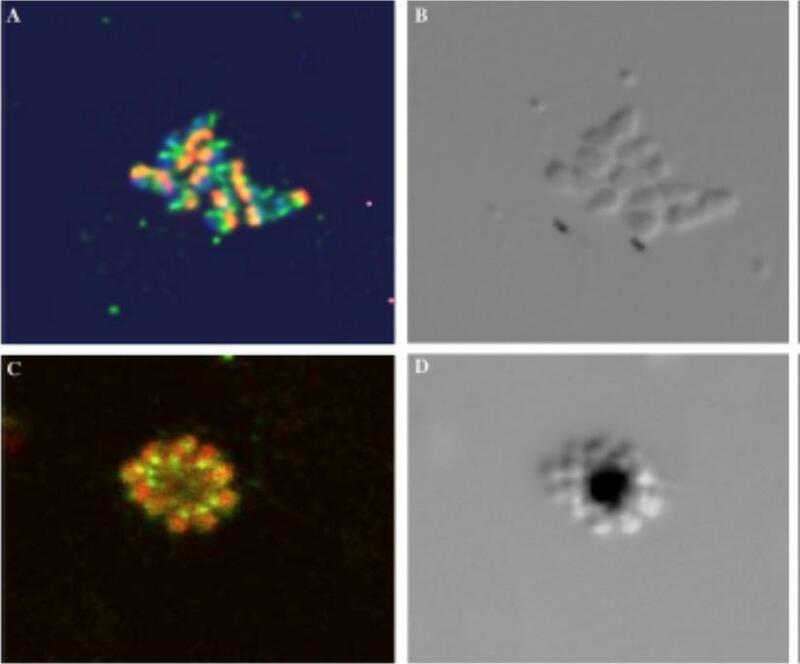 (C) 3D7 merozoites in schizonts labeled with anti-PfAnkDHHC (green) and a mouse antisera recognizing subtilisin-2 (red). Merozoites attached to the pigment containing residual bodies have their apical end oriented opposite to the residual body. (D) DIC image corresponding to Fig. 2C. All images 630x.Seydel KB, Gaur D, Aravind L, Subramanian G, Miller LH. 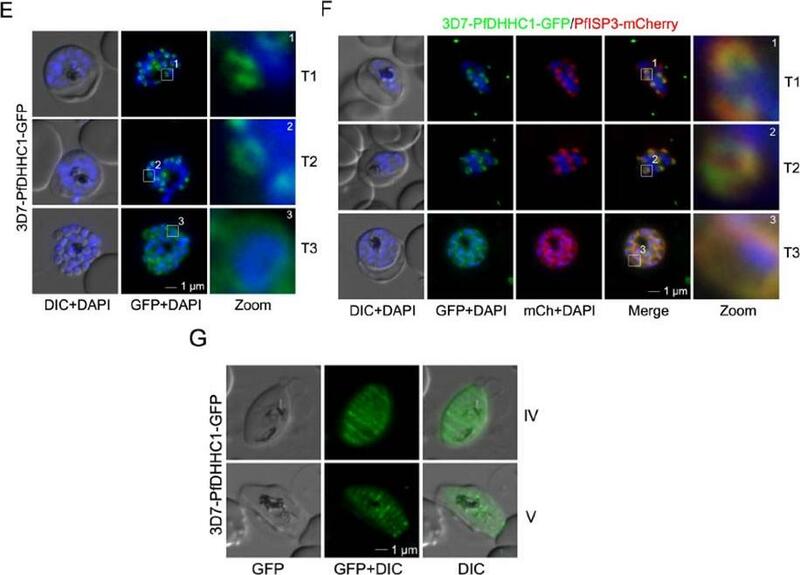 Plasmodium falciparum: characterization of a late asexual stage golgi protein containing both ankyrin and DHHC domains. Exp Parasitol. 2005 110:389-93. Copyright Elsevier 2010.